Police found Glock magazines and ammunition inside the rental car a 33-year-old woman used after leaving the home where she shot her two daughters, a search warrant reveals. Veronica Youngblood appeared in court for the first time Tuesday via a closed-circuit television. 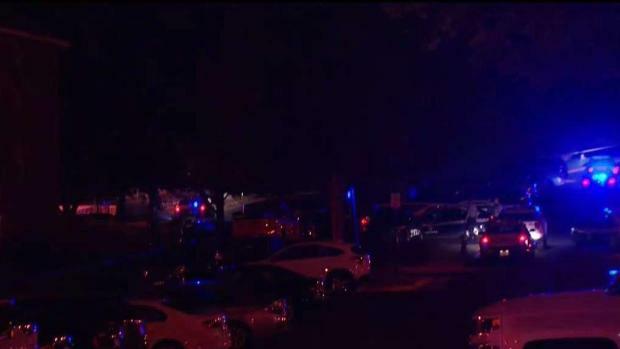 Police say Youngblood shot two children inside an apartment in the 1500 block of Lincoln Circle in McLean, Virginia, Sunday night. One of the children died at the scene while the other remains in life-threatening condition, police say. Youngblood was arrested Sunday night in neighboring Loudoun County after she knocked on the front door of an acquaintance and that person called police. After her arrest, police say Youngblood waived her Maranda rights and confessed to the crime, giving detectives a detailed account of what happened, a search warrant says. A judge warned a Fairfax County mother accused of killing her 5-year-old daughter and wounding another daughter to cooperate with her lawyer. Northern Virginia Bureau Julie Carey reports. Inside her rental car, police found two Glock magazines with ammunition and identification cards. Police have not identified the victims due to a state law passed in Virginia in 2017. Police need written permission from the families of juveniles to release their names. Authorities have not commented on the relationship between Youngblood and the victims. But court documents reveal Veronica Youngblood has a 5-year-old daughter named Brooklynn Youngblood and an older daughter. A medical examiner confirmed to News4 that a Brooklynn Youngblood died of a gunshot wound to the head. A gun was recovered at the scene when Youngblood was arrested, police say. Court records reveal Veronica Youngblood has spent years in court with her ex-husband in divorce proceedings and hashing out custody issues. At one time, her ex-husband got a protective order against her, according to documents. A 33-year-old woman who is accused of killing one of her daughters and injuring a second in a shooting Sunday night told a judge Tuesday that she does not want an attorney. Although they divorced, the pair lived together at a townhouse so they could both be part of the girls' lives, court documents said. He was retiring from the Navy this week, and under a court agreement, the entire family was relocating to Missouri so both parents could stay involved in the girls' lives. Her ex-husband agreed to pay Youngblood's rent and other expenses. But just weeks ago, Youngblood moved into the new apartment in McLean after filing court papers saying that she didn't want to go to Missouri and that she'd found a new job here and wanted to get primary custody of the 5-year-old daughter. The victim's paternal great-grandmother, Prudie Shaw, said the surving teenage girl has had three surgeries. Though she was Youngblood's daughter from a previous relationship, her ex-husband has raised her as his own and is keeping vigil. "They were beautiful children," Shaw said. "I can't believe it." Police say Youngblood is being held without bond. A preliminary hearing is scheduled for Oct. 18.